There are countless small and large sized dealers, each claiming to have the best prices, best inventory, best service, etc. Of course, you can't take them on their word ? you need outside analysis and a good old-fashioned review. In this article, you'll find just such a review. The original article, written by Shaun Connell, is presented here by munKNEE.com - " The internet's most unique site for financial articles! (Here's why)" - in an edited ([ ]) and revised (…) format to provide a fast & easy read. Visit our Facebook page for all the latest - and best -financial articles! 1. Passive Investing: This is the idea that you'll always own some gold no matter what. You'll either slowly amass a larger and larger store of gold for the sake of security, or you always keep a set percentage of your portfolio into gold. If this is your goal, you should check out SilverSaver, a website that allows you to automatically buy a set amount of gold and silver every month. I use this service, and it's probably the easiest, simplest ways of slowly amassing gold and/or silver bullion over time. 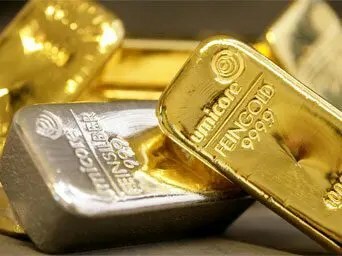 For example, if you set aside $200 per month to gold and silver investments, and in two years you want to cash in, you can have them either send you the money the bullion is worth or you can have them send you the actual bullion itself. If you opt for the bullion, you can choose between bullion coins, junk coins, bars, etc ? whatever you want. It's just an incredibly cool service. 2. Active Investing: This is the idea that you think gold is going to go up in the next few days, weeks, or months, and you want to buy it cheaply in order to sell it quickly without having to have it on hand. You don't want to keep it in storage, touch it, or hold it for long-term security ? you want to buy it with the goal of selling it for profits in the relatively near future. If this is your goal, then nothing really comes close to BullionVault. It has no dealer costs, and you can buy and sell essentially right at spot prices. Plus, you actually own the gold whether you ever touch it or not. BullionVault is superior to buying straight-up ETFs for a simple reason: you actually own the gold discussed, not just a ?derivative? of the gold. Plus, BullionVault is backed by the infamous Rothchilds family, and they haven't been absurdly wealthy for centuries without reason. The above sites are the only two online resources for buying gold bullion that I completely back. I have accounts with both, and instantly became a partner with both companies once signing up. 1. Compare & Save When Buying Gold: Check Out These Dealers First! 2. What Do Gold Measurements ?Troy? Ounce and ?Karat? Really Mean? The post These Sites Are the BEST Places to Buy Gold & Silver Online - Here's Why appeared first on munKNEE dot.com.